Otto J. M. Smith was born on August 6, 1917, in Urbana, Illinois. In 1923, he moved with his family to Stillwater, Oklahoma, where his father was head of the Department of Chemistry and Chemical Engineering at Oklahoma Agricultural and Mechanical College (Oklahoma A & M). He obtained concurrent B.S. degrees in electrical engineering, from the University of Oklahoma, Norman, and in chemistry from Oklahoma State University, Stillwater, in 1938. He received a doctorate in electrical engineering from Stanford University in 1941. He was a member of the EECS faculty at UC Berkeley since 1947 and emeritus since 1988. Otto had a continual thirst for knowledge and an ability to turn theory into practical working projects. He is probably best known for his development of the “Smith predictor”, a method of analyzing feedback control systems with process delays. This work has found widespread application in the chemical process industry, and the theory and applications have been extended by others. An early patent was granted in 1956 for a sine-function signal generator. It was sold to Hewlett Packard and was in general use long after the expiration of the patent. Since 1976 all of his patents have been awarded for devices to generate or conserve energy, including designs relating to solar electric power plants, wind generators, and high efficiency motors. Professor Smith was granted at least 30 U.S. patents as well as foreign patents. At the time of his death he was pursuing two more patents which had been applied for but not yet finally approved. His most recent work has been in the development of new and innovative methods and devices (e.g. the “phaseable enabler”) for making it possible to run three-phase induction motors on single-phase power lines. Indicated applications are for use at farms and mines in remote areas that are only served by single-phase electric power. 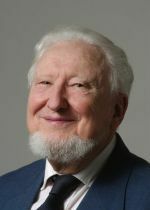 Otto Smith received many honors throughout his career, including a Guggenheim Fellowship in 1960, R&D Magazine’s 1999 award for “One of the 100 Most Technologically Significant and New Products” (for the phaseable enabler), and in 2003 was listed in InTech, the International Society of Automation’s house publication, as one of the “50 Most Influential Industry Innovators Since 1774.” He was a fellow of the Institute of Electrical and Electronic Engineers, the world’s preeminent professional society for electrical engineers, and a fellow of the American Association for the Advancement of Science. Professor Smith taught a wide variety of EECS courses in the systems and power areas. He took his teaching responsibilities seriously and was known as a stimulating and effective teacher. He was deeply concerned about undergraduate and graduate students both in and out of the classroom and was very popular with them. He wrote over 150 papers and a well-received textbook on feedback control published by McGraw Hill in 1958. An active researcher and inventor working in the field of energy production and efficiency, he was deeply concerned about global warming and devoted much of his later life to developing technologies and working for policies that would mitigate man-made disasters. Professor Smith passed away in 2009.